Published in Contemporary European History, vol 25, no. 1 (February 2016), 117-142. Co-written with Robert Gildea, Journal of Contemporary History, vol. 50, no. 3 (July 2015), 581-605. Vortrag im Rahmen des Deutsch-Französischen Kolloquiums, Centre Marc Bloch Berlin, 7. Mai 2015. 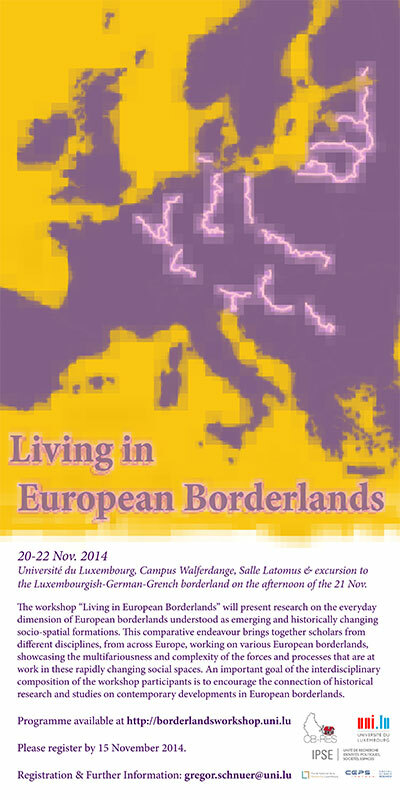 At the ‘Living in European Borderlands’ conference, Université de Luxembourg, 20-22 November 2014. Presented at the annual conference of the Society for the Study of French History (SSFH), Cardiff, 30 June 2013.
in Revue Belge de Philologie et d’Histoire / Belgisch Tijdschrift voor Filologie en Geschiedenis, Vol. 89, No. 3-4, 2011, pp. 1365-1379.